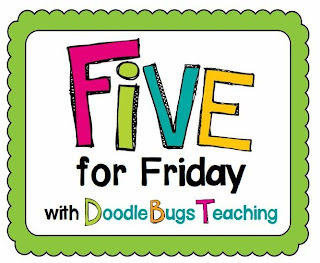 It's time to link up with Doodle Bugs Teaching once again for Five for Friday! So here we go! It has been a busy week with lots going on! No rest just because it is the first week of term! And finally it has started to cool down a little, we even had to put the heater on! 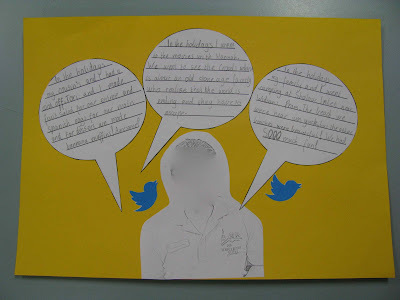 This was our holiday writing! I was so pleased with how it turned out! Before the holidays, we had predicted what we wanted to do on the holidays in our Writer's Notebook. We went back and reflected on this and picked our favourite 3 things from the holidays. Then we wrote "tweets" under 140 characters about each event. We had to discuss use of best words to explain just what we did! The kids loved it and all wanted to get exactly 140 characters - struggling writers knew they didn't have to write much so got to work straight away! We took their pictures on an iPad, then converted it to Line Art - just a different look! Download the speech bubbles I used here as a Google doc file. You can get the tweet bird from googling Twitter. 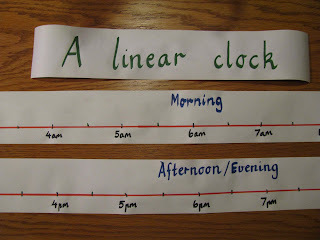 This was a great clock activity I came up with. I wanted the children to understand both the hour and the minute functions of a clock - we have had a lot of confusion! 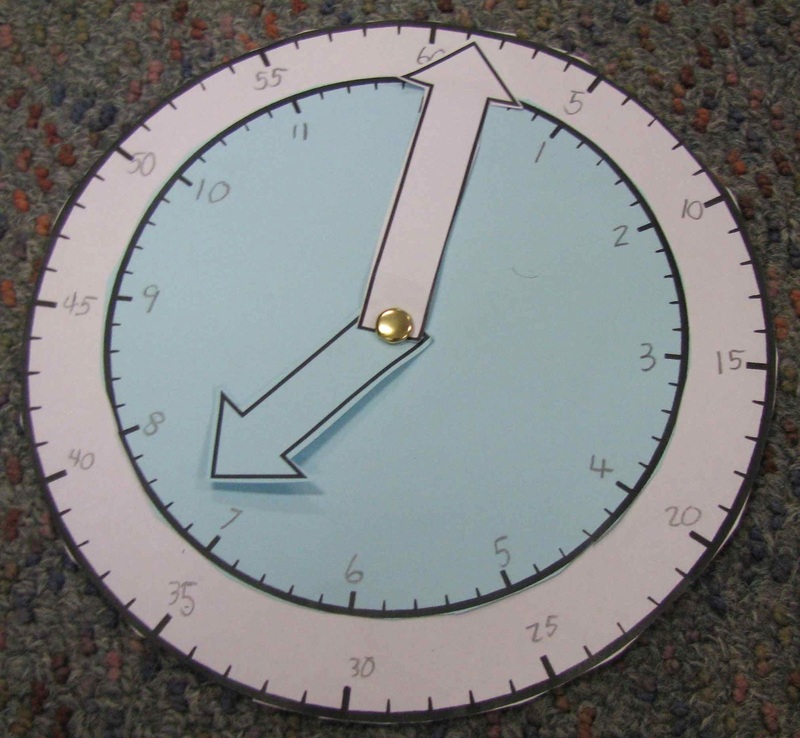 I have deliberately photocopied the hour clock and hands on a different coloured piece of paper to the minute hand and clock. We created these clocks and then use a split pin to connect. Some children said that it clicked just after making the clock! They just needed the other numbers written around the outside! 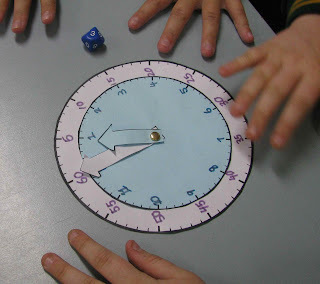 Today we played a game with our clock - we rolled a 10 sided dice (called 0 -10) and then made a time using that number eg. if we rolled a 9, we could tell our partner to make any time that started with a 9. It was a great activity to sum up the week! You can download my freebie Make Your Own Clock here! This week we have been adding more skills to our CAFE board. 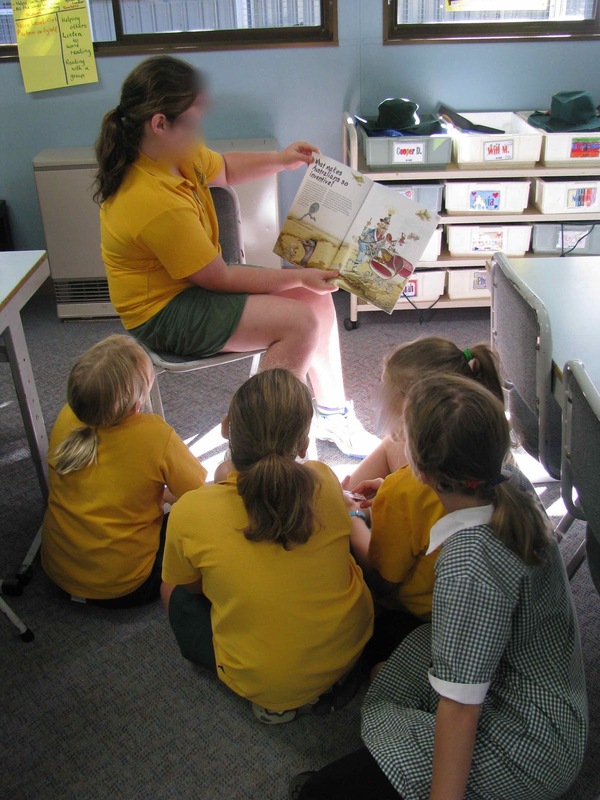 I loved this group - the girl was teaching the concept of "Define an unknown word" and was reading sections and then asking them to explain what words meant - it was a heart melting moment! 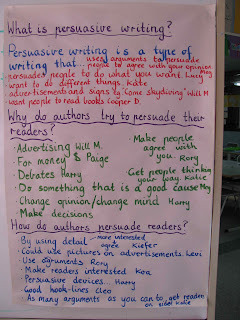 This term our writing topic is Persuasive Writing. 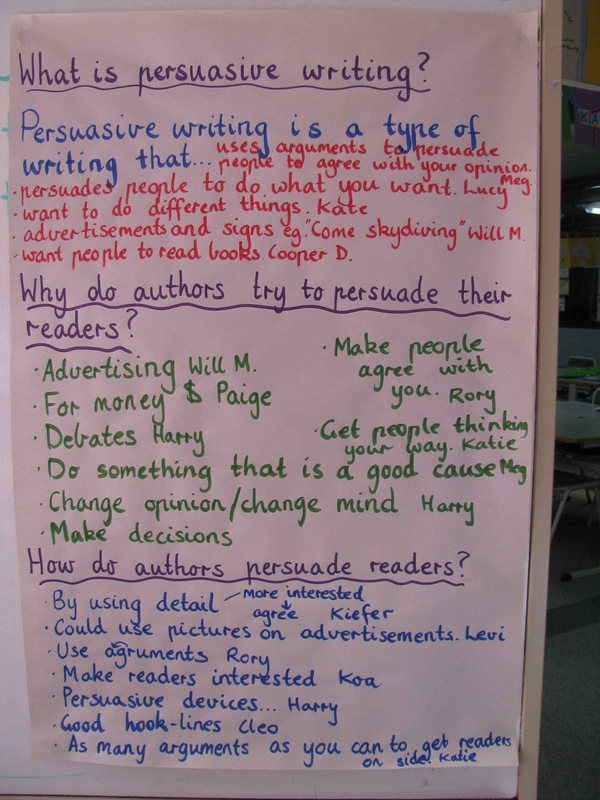 I saw a poster on Pinterest that used these prompts and LOVED it so we created an anchor chart together - of course as soon as I write the children's names after their suggestion, they go crazy with answers - they just want their names up there! 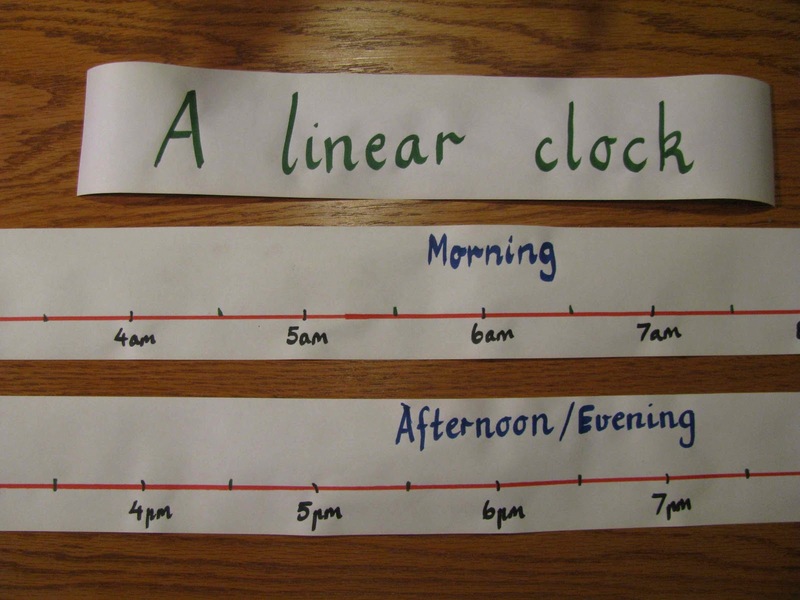 The linear clock is great. 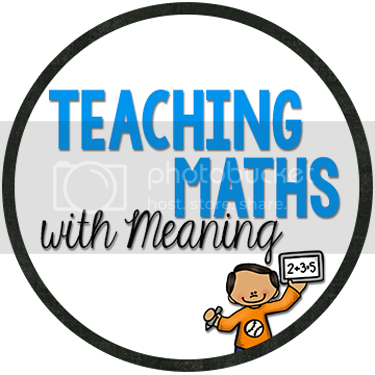 I normally just change it to a numberline, but it makes so much for sense for kids. Much easier for them to jump times add/subtract minutes. I have been using the clock this week! So much easier! 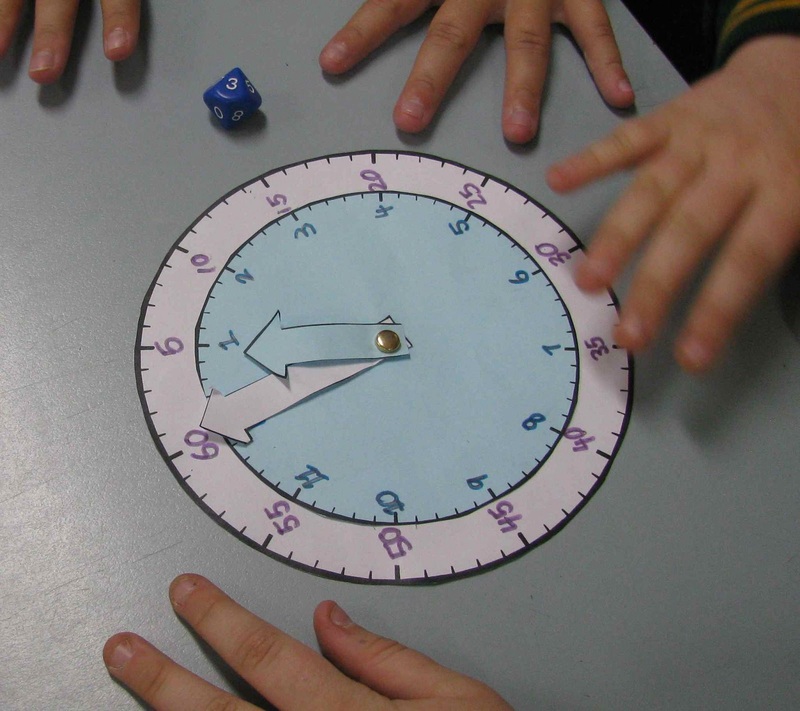 When was teaching in the older grades I always struggled to teach time in a way that 'stuck' with the kids. I wish I'd had your ideas then! :) Love the Twitter idea too.